What is it? A gentle warming mask that purifies, nourishes and leaves the skin feeling smooth. It contains MDT5™, our patented technology of highly engineered vitamins A C E B3 B5, as well as pumpkin enzymes and minerals. Gentle enough for all skin types, this product prepares the skin to better receive and absorb the Regimen. Who is it for? All skin types and most skin conditions such as: sun damage, fine lines & wrinkles, acne and rosacea all while improving skin discoloration, tone, texture and clarity. Why is it different? In addition to patented MDT5™ and free radical fighting anti-oxidants, Boost contains pumpkin enzymes to increase cellular regeneration; Zeolite, a natural mineral to warm the skin and open the pores enabling Kaolin to aptly absorb excess oil, dirt and impurities. How do I use it? Squeeze a generous amount of Boost into your hand and apply on clean dry skin. Apply Boost to face, neck and decollete while massaging for 2 minutes using circular motion with light pressure. Leave Boost on the skin for 7-10 minutes and then remove with warm wet towel. For best results, use weekly after Nourishing Cleanser. Follow with Transport, Serum, A-Bomb and Double Defense. What is it? A-Bomb is a lightweight cream containing Molecular Dispersion Technology 5 (MDT5™), a patented technology of highly engineered vitamins A C E B3 B5 designed to help improve skin tone, texture and clarity, with a high concentration of Vitamins A & E. A-Bomb helps soften the appearance of fine lines and wrinkles while targeting poor skin texture and dry skin. It calms and soothes the skin while promoting its vitality and firmness. Why is it different? The point of difference is Somme Institute®'s patented technology, MDT5™ combined with high concentrations of Vitamins A & E.
Apply to face, neck, and decollete. For best results, use after Serum and before Double Defense. Why is it different? The point of difference is its SPF 30+ sun protection and its moisturizing and nourishing properties. Apply to face, neck and upper chest. For best results, use after A-Bomb. What is it? A unique eye cream with "Controlled-Released" EYE-Specific MDT5™ disperses its compound of highly engineered vitamins A C E B3 B5 along the multiple pathways of the delicate skin around the eyes. Dark circles are visibly faded, puffiness appears deflated, skin looks firmed and wrinkles appear reduced. The eye area is illuminated. Who is it for? All skin types such as: dark circles, puffiness, sun damage, fine lines & wrinkles all while improving skin discoloration, tone, texture and clarity. Why is it different? The point of difference is EYE-Specific MDT5™ which is for those who want to see a real transformation of their skin around the eyes. Apply by lightly dabbing a small amount of EYE around the eyes and orbital bone with ring finger. For best results, use after A-Bomb. Somme Institute Night & Day ($155 Value) -a saving of $56! This duo set by Somme Institute works morning and night to tighten skin and diminish signs of aging. - Skin Reset (1.7 oz. ): a formula that transforms facial skin that is lax and wrinkled, leaving it tight, smooth and youthful. Apply every evening to face and neck. - A-Bomb (2 oz. 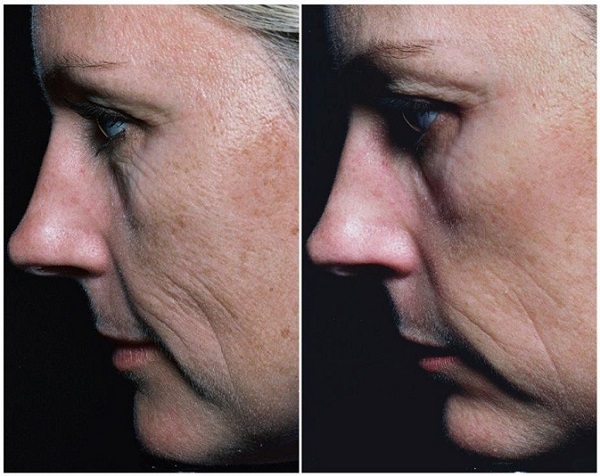 ): a lightweight cream formulated with MDT5™ (molecular dispersion technology) and high levels of vitamins A and E that helps soften fine lines and wrinkles while targeting problem areas. Apply to face, neck and chest morning and night.